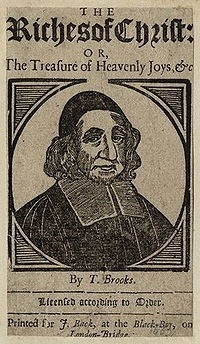 Born in 1608, Brooks was ordained to ministry in 1640, having studied at Emmanuel College, Cambridge. He served the Lord in London, and preached before the House of Commons. While he was ejected from his pulpit in 1662, he continued to preach and write.